Each pixel in a Worldview-3 image is about the size of home plate on a baseball diamond. That’s about 31 cm. So instead of being far-sighted, you can see a better and clearer world with some of DigitalGlobe’s products. DigitalGlobe’s cutting-edge high resolution satellite carves out ridiculously crisp imagery at 31 cm. In 8 spectral bands, the world all of a sudden becomes clearer. For example, you can really get surgical for distinguishing Earth’s land cover using image classification techniques in remote sensing. DigitalGlobe provides countless case studies how users are applying satellite technology to tackle real world problems. And if the world wants more high resolution imagery, why not give then more. This is why DigitalGlobe launched Worldview-4. 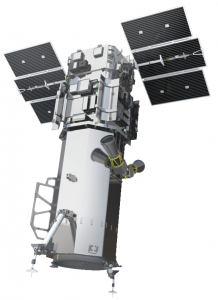 Although Worldview imagery has a cost, there are options to download Worldview-3 imagery. You’ll have to scroll down a bit lower to find out how. A satellite marvel in 1999, IKONOS was the first satellite granted a commercial license in America. However, IKONOS-1 never made it to space. IKONOS-2 did and was renamed simply “IKONOS”. IKONOS delivers 4-meter multispectral (RGB, NIR) and 1-meter panchromatic imagery. Finally, DigitalGlobe acquired GeoEye which is so sharp that ecologists have used it to track animal population. Google had its logo on the side of the rocket and has exclusive access, so there’s no coincidence is a basemap imagery in Google Maps. GeoEye imagery is 41 cm for panchromatic and 1.65 meters for multispectral (RGB, NIR). READ MORE: The Big Satellite List. 50 Satellites. 30 Words or Less. So how good is DigitalGlobe imagery? DigitalGlobe’s Open Data Program supports disaster recovery for any sudden major crisis or event. For example, DigitalGlobe has assisted in fighting forest fires, assessing earthquake damage and in hurricane relief. As part of DigitalGlobe’s Open Data Program, they release imagery into the public domain under a Creative Commons 4.0 license which may include crowdsourced damage assessment. Further to this, DigitalGlobe has product samples available for different parts of the Earth. For example, sample imagery products are more available for Rio de Janeiro (Brazil), Stockholm (Sweden) and Washington DC (USA). If you are just looking to purchase Worldview imagery scenes, the Worldview Viewer application gives you the option to preview and find images in archive. DigitalGlobe also provides basemaps, analytical services, precision aerial, maps API and various other products and services. With the recent purchase of DigitalGlobe from MDA, this turns a new leaf in the era of space imaging. 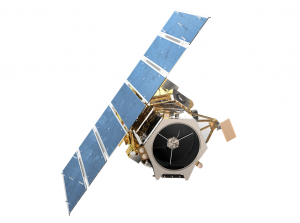 As you may not know MDA, MDA owns and operates Radarsat-2. And this will include 3 additional satellites from the Canadian Radarsat Constellation Mission. Now, technical users can access another untapped resource like synthetic aperture radar for even more rigorous analysis. AVHRR (Advanced Very High Resolution Radiometer) spatial resolution is actually very coarse at 1.1 km. But its revisit times are “very high” at just one day. Hi, from which satellite and how can I get images for archaeological research and buried cities under the soil? Hi, appreciations to your good work. How can I download Worldview-3 imagery? I could not find it through your article.